Heat oven to 375°F. Cut squash in half lengthwise with sharp knife. Scoop out and discard seeds. 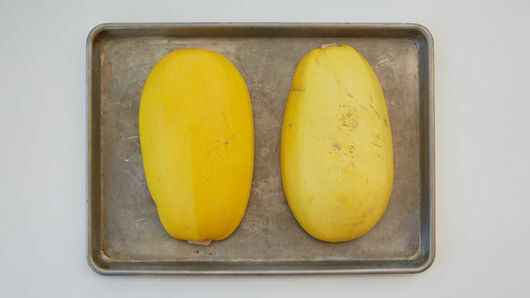 Place squash halves cut-side-down in ungreased 3-quart baking dish or baking sheet with sides. Bake 45 to 50 minutes or until fork pierces flesh of squash easily. Remove squash from oven. 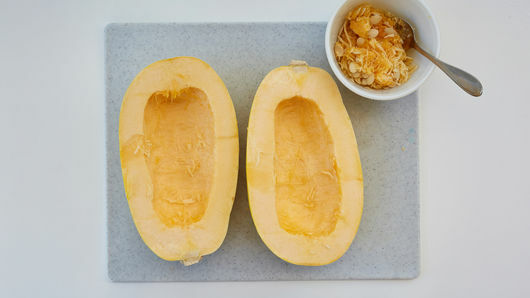 Carefully turn squash over to cool 10 minutes. Scrape insides out with fork into serving bowl. Gently stir in butter, Parmesan cheese, salt and pepper. Garnish with parsley. 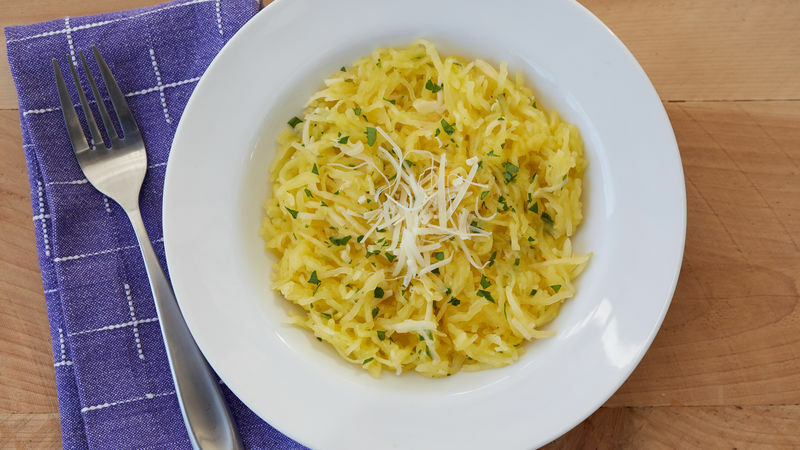 If your squash needs to be reheated after stirring in ingredients, place in microwavable serving dish; microwave uncovered on High just until heated. Do not stir too much, or it will lose its spaghetti-like texture. 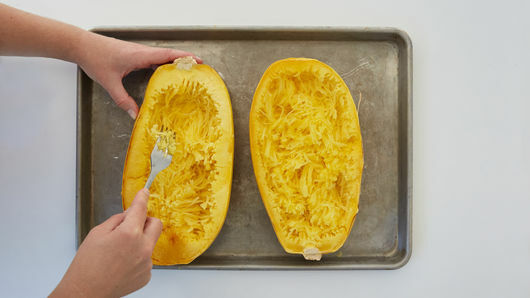 Use a sharp chef’s knife to cut squash in half lengthwise.